Clay attracted us from the beginning and continues to be our passion because of its versatility and the processes of working with it. 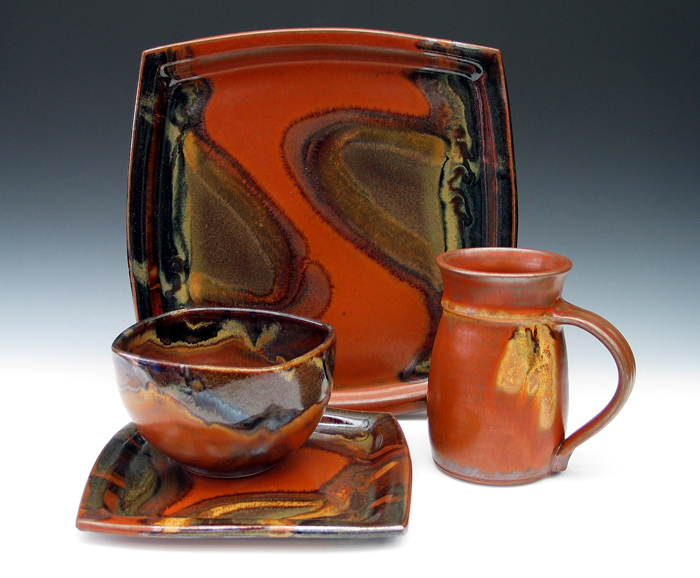 Porcelain is smooth, sensuous, challenging clay that gives a luminous quality to the glazed surface. The colors sparkle through the glassy surface like sunlight sparkling on stones at the bottom of a stream. For us clay is a good metaphor for life as we transform clay through pressure and fire into a finished piece that embodies the spirit and beauty of the material and ourselves at our best.